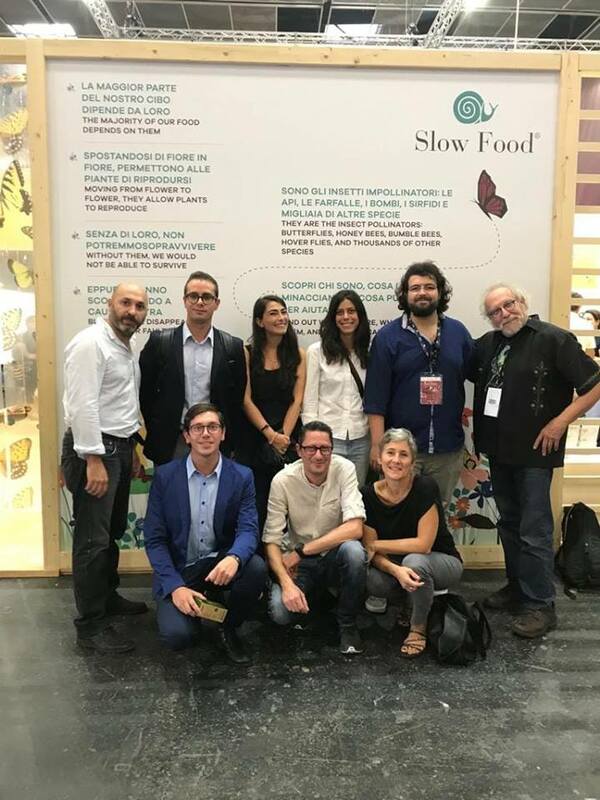 Every other year, the nonprofit organization Slow Food hosts the single largest food event in the world— the Terra Madre Salone del Gusto at the Lingotto Fiere, an enormous exhibition and trade center in Turin, Italy. However, this year’s gathering was different than previous ones in that its five-day program featured panel discussions and workshops on bee-keeping and also on… wait for it… edible insects. The trip to Turin was a first for me. As the author of The Eat-a-Bug Cookbook, I’d been invited to participate as a panelist for one of those newly themed sessions on bug-eating. Cleverly titled “Butterflies in Your Stomach: Innovative Recipes and Insect Farming Start Ups,” this two-hour discussion took place on the afternoon of September 23. It brought together several upcoming leaders in the edible bug industry— Giulia Tacchini and Giulia Maffei of Milan-based Entonote; Davide Storino and Luca Costamagna, founders of Novel Food cricket farm; Silvio Piccinini, co-founder of the Nutripeople project; Marco Parrinello of Crickè; Prof. Laura Gasco and me– the only non-Italian on the panel that day. Over the course of two hours, we presented information about our roles in the bug biz, describing the first insects we’d ever eaten, our experiences in building on these initial encounters and launching our various start-up ventures, and our visions of how the edible insects industry would evolve and grow in the distant and not-too-distant future. 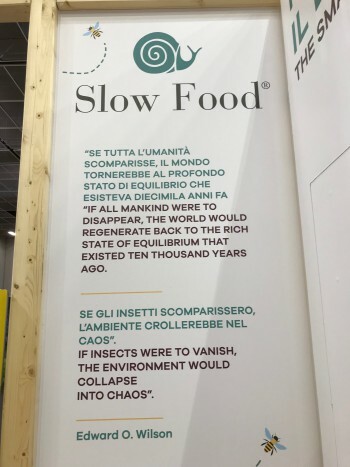 The discussion was moderated by Mattia Gianfranco Marino, Slow Food’s resident entomophagy expert and recent recipient of a Masters degree from the University of Gastronomic Sciences (UNISG) of Pollenzo, Italy. Mattia kept the afternoon’s discussion on track, gracefully fielding questions from the audience and ensuring that everyone had ample time to share their career highpoints and present their unique points of view. The next day, a second “Butterflies in Your Stomach” session featured experts on indigenous uses of insects as food. During this session, moderated by UNISG lecturer Gabriele Volpato, the audience learned about termite-eating in Uganda, harvesting edible insects from Mexican coffee plantations, and the traditional bug-based cuisine of North East India. 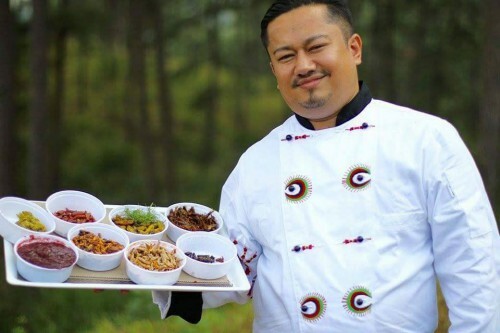 I was especially fascinated by this final topic, as described by Chef Joel Basumatari of Nagaland, for a singe reason: to date, there has been very little information available on Indian entomophagy, even in documents of worldwide scope such as F.S. Bodenheimer’s comprehensive Insects as Human Food. I consider myself extremely fortunate to have invited to Terra Madre and am eager to continue to be involved with the Slow Food movement. I’m hoping there will be even more of a focus on insects in future Slow Food gatherings, in Turin and elsewhere. With luck, I’d like to attend them all.